Yamaha YZ125 Review – Is It The Best 125 Two-Stroke Ever? Since there’s not much hope in the economy coming back in the near future, dirt bikers are resorting to things that will give them the best bang for their buck. As a result, 125cc two-strokes have been rising in the used market. Why? Well, it’s pretty simple, actually. First of all, you can rebuild the top-end for $150 or less, which can be done in your garage with a little mechanical motivation and patience. They are great dirt bikes to start out on for motocross, as they teach you how to control the throttle, clutch, and controls. Probably the best part about a 125 2-smoker is that they’re an absolute blast to ride! They’re light, quick, snappy, and besides, who doesn’t like the smell of race gas and pre-mix in the morning?! Yamaha hasn’t changed their 2-strokes for a while. However, this doesn’t mean it’s outdated. In fact, that’s quite the opposite, as Yamaha has been building quality 2-stroke motocross bikes for years. As long as they make them, riders continue buy them. They are often the first dirt bikes to sell in a dealer, but let’s take a look at why these bikes are so popular in the first place. 1990’s YZ two-strokes are fairly similar. In ’96 they made some changes that lasted until the end of 2001. These are still considered some of the best motocross bikes, especially the 1999 model. They are fast, reliable, and are just a great overall bike. In 2002 the frame changed, making it lighter, narrower, and more flick-able. However, many people didn’t approve because it switched to a 5-speed transmission. 125’s have a narrow power-band as it is, and some riders just like having that extra gear. 2005 and 2006 are biggest years for the Yamaha YZ125. In ’05 they changed to an all aluminum frame, made some engine changes, as well as changing back to a 6-speed transmission. Power has never really been an issue when it comes to the YZ125. 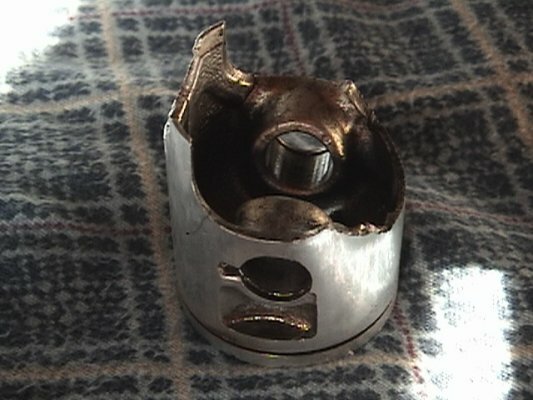 In amateur ranks, these small-bore two-strokes can hold their own against 450’s with the right rider. Of course it can be harder to ride them faster, but they have the ability, and it’s extremely fun doing it. Although 125’s are known to have little to no bottom-end power, the YZ125 has always seemed to have a little more torque down low than the others in its class, making it manageable if you need to lug it in tight areas. Once you get to the mid-range you can start to feel the inner-beast come alive, especially on the later models. As soon as you hit the power-band on one of these tiddlers, you’ll know why they are so addicting. It may scare you at first if you’ve never ridden a two-stroke motocross bike, but you’ll be begging to do it again and again until there’s no more premix in the tank… Throw a pipe on this thing and get it properly ported, and you have race-ready engine on your hands (not that it isn’t with a stock engine). 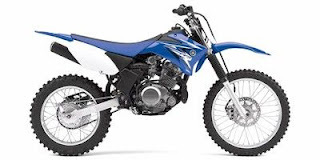 In 2005, the YZ125 got a new engine and carburetor, which greatly improved the bike. It’s so crisp and fast that you don’t need to touch the bike to be competitive. Although, as the saying goes, it’s easier to make a fast bike faster… Slap a pipe on there, get it ported, run some race-gas, re-jet, and she’s ready to haul the mail! While it’s light, fast, and flick-able, some people don’t like the way YZ125’s handle as much as other late-model 125’s. The CR125 has been at the top of its class in the handling department since the 3rd generation chassis came out in 2002. That bike handles extremely well with comfort. 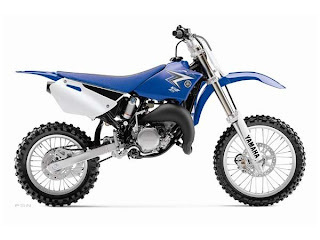 The 2002 and newer YZ125 are not far behind though, so don’t let that be the determining factor. 2005 was the first year of the aluminum frame, which is still claimed to be one of, if not the best 125 two-stroke made. 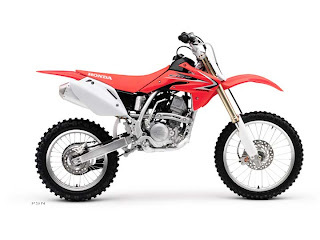 It’s lighter, faster, handles better, and just overall rides more like a modern motocross bike. Yamaha continues to provide top-notch suspension in their motocross bikes, and the YZ125 is no different. The older bikes from the 90s left something to be desired compared to modern mx bikes, but in the 2000’s they have some of the best suspension out of the box. Bottoming-resistance is one of the leading factors of it being at the top of its class. 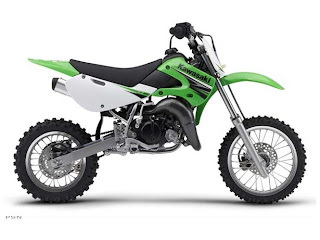 The ride isn’t as harsh as some of the other bikes, but like any other motocross bike, you will want to get it re-valved if you weight less than 140lbs or more more than 170lbs depending on what kind of riding you do. In 2006, which was the last year of any major updates, the YZ125 received new SSS forks, which are considered a big upgrade. If you can find a good deal on clean ’06, buy it! If you find a nice ’05, I would definitely buy that too. For someone that’s not a pro rider, you probably won’t notice much of a difference between the two. Besides, most racers get their suspension re-valved for their weight and riding style anyway. I’ve owned my share of YZ125’s, and they’ve all been great. The most reliable motocross bikes I’ve owned, and they’re just so much fun to ride. Of course, the newer the better, but even a 1999 YZ125 is a great bike to get started in this awesome sport. Check out my other articles on how to find deals on used dirt bikes! 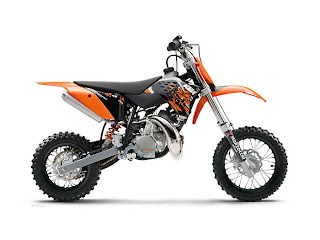 Posted on January 13, 2013 Author mxhideoutCategories Bike Specific, Dirt Bikes, Reviews, Yamaha, YZ125Tags 2 stroke dirt bike, motocross bike, motocross bike review, two stroke, yamaha, yamaha yz125 review, yz 125 dirt bike test, yz125, yz125 reviewLeave a comment on Yamaha YZ125 Review – Is It The Best 125 Two-Stroke Ever?